During the 50s, James Dean's sense of style became a symbol of youth rebellion and social anarchy. The effortlessly cool clothing he would wear, on and off screen, is largely why he is such a cultural icon today. His untimely death at the age of 24 has immortalised Dean and his youthful style for us all to emulate. When dressing up, James Dean's fashion still remained true to his very simple yet elegant style. If he was dressing for a formal occasion, he would pull off any suit and tie outfit. When dressing down, he would usually wear a wool sports jacket in either a brown or khaki colour, a white or cream button-down shirt, a thin brown belt, some khaki trousers and brown dress shoes. James also became famous for wearing a long overcoat which became part of his signature look. He liked to dress casually but still proceeded to look like a gentleman. He was rebellious in his clothing choices but always looked smart. We've taken a look at some of his best looks and given some advice on how to pull them off in today's society. When styling yourself on this legendary actor, no outfit would be complete without an iconic Harrington red James Dean windbreaker jacket. The jacket James Dean wore in Rebel Without A Cause is a lightweight, waist-length piece of outwear that is perfect for layering during the autumn/winter season. In the UK this item of clothing is most usually associated with the 80s skinhead and the punk movement. However, this doesn't stop it from being a key piece of any James Dean style. If you want a new jacket for this season that channels him, go for the James Dean Rebel Without A Cause jacket. Team this burgundy jacket with a crisp white James Dean T-shirt, for men the plain colour is great for creating a base for the rest of your outfit to revolve around. 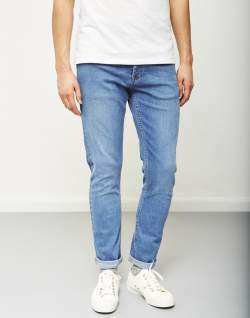 Next, get yourself a pair of light blue denim jeans. 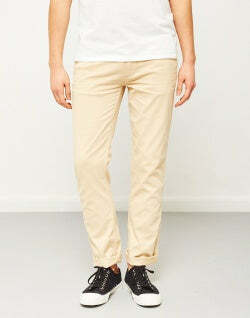 The white T-shirt and jeans look is one that began in the 50s and has become a style staple for men everywhere. Wear some black Dr Marten shoes to finish your look with that extra detail. As already mentioned, Dean was a pioneer of one of the simplest, yet most stylish looks around today. It's the effortless ease of this outfit that makes it so effective. All you have to do is team a plain white T-shirt with a pair of jeans for an outfit that's comfortable and looks great. Depending on your body size, wearing a tighter fitting top is the best way to achieve this look. Traditionally, wearing light blue or navy trousers was more common for this style. However, if you want to mix things up a bit then why don't you try it with some black skinny jeans for a more modern aesthetic. 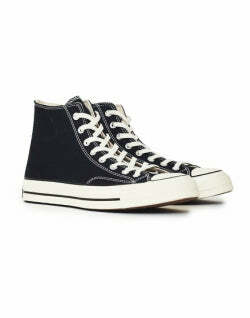 For a classic look, finish it off with a pair of black and white Converse high-tops, similar to the shoes worn in Rebel Without a Cause. To get the preppy teenage look that captured a generation, Dean would wear a classic polo shirt. 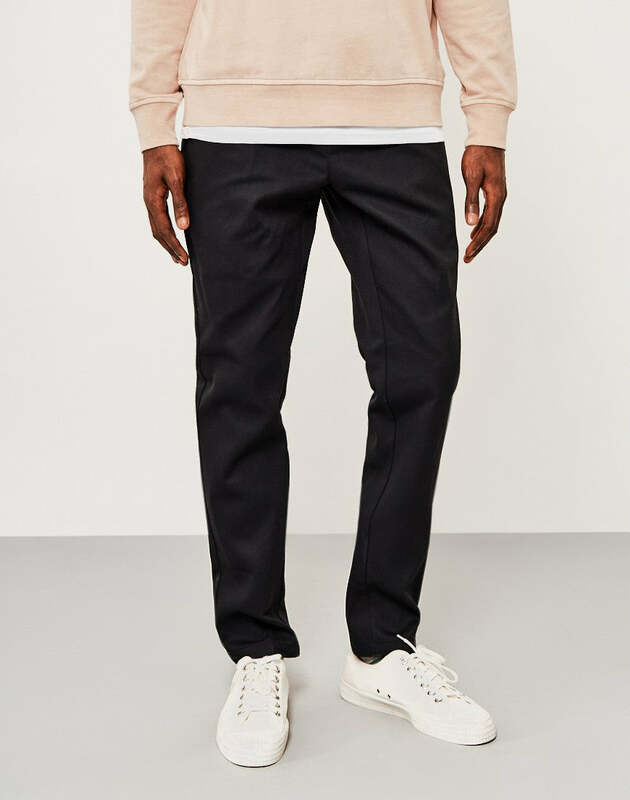 This item of clothing is perfect for creating an extremely versatile smart casual outfit. Try teaming a black polo shirt with a pair of dark navy chinos for a uniform style that has tonal variations. Much like the T-shirt and jeans combo, this look only requires two items of clothing to become instantly stylish. Although James would generally wear his polo with the buttons undone, it is now just as stylish to wear one with the buttons done up to the top. 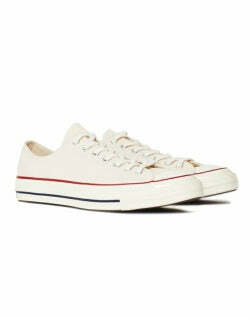 To bring some contrast to your look, finish it off with a pair of white trainers. The colour change will balance your outfit and stop it from becoming overly formal. Just make sure you keep your shoes clean for a clean and sophisticated style. The next thing to consider when shopping James Dean's look are the trousers. Make sure to bag yourself a pair of basic, blue jeans, preferably American. Take inspiration from classic clothing brands such as American Apparel and Levi's. The jeans need to give off a sense of an effortless working man masculinity. The best way to achieve this is by purchasing the most traditional trousers you can find; leave your super spray on skinny's in the wardrobe. Get yourself a pair of straight cut dark navy denim jeans for the most authentic look. 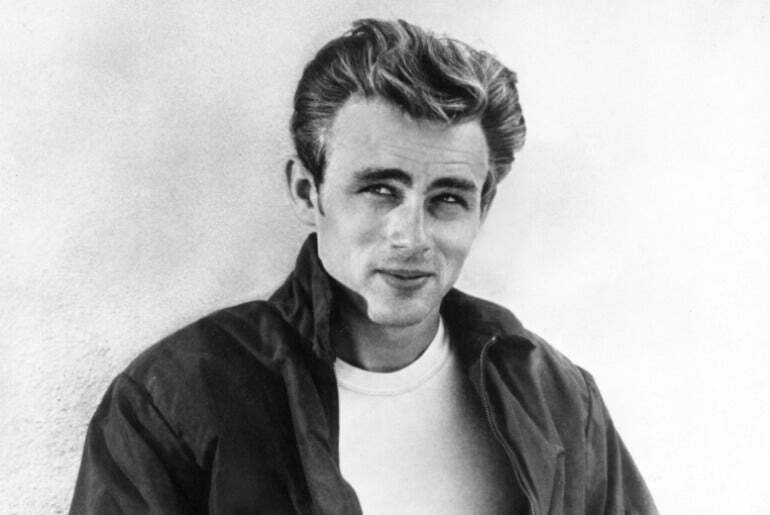 Layer your outfit with a James Dean leather jacket to form the rebel biker look he wore so well. Finish it off with some heavy duty Dr Marten boots. 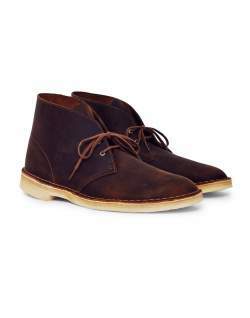 These are an excellent choice of footwear for many different rebellious outfits, including the classic American biker. Cuff or pin-roll your jeans to show off more of your shoes as well as adding some extra detail to your style. 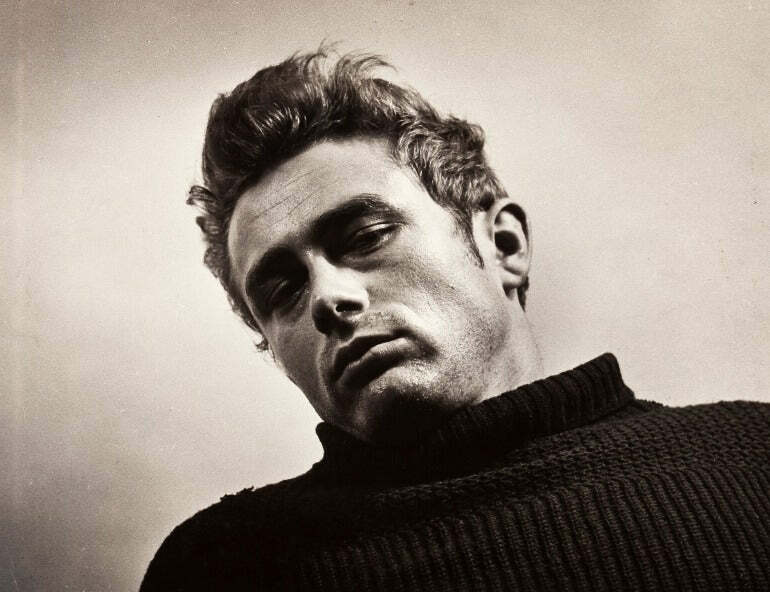 The classic James Dean sweater is a black turtleneck. His iconic photo shoot series with Roy Schatt called “Torn Sweater” sparked the trend of chunky turtlenecks. Commuting into the office during the winter months can be a cold and depressing task, so swapping a thin James Dean striped shirt for a nice woolly turtleneck is an excellent choice. 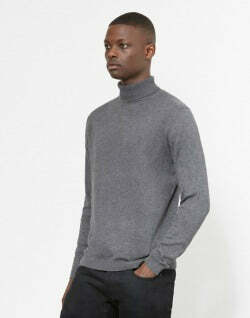 To get a monochrome look that's perfect for the season, team your jumper with some black suit trousers. The dark colour palette will create a vertical uniformity with the style. You don't become as stylish as James Dean without knowing how to accessorise properly. Despite what you might think, choosing the right extras to add can be deceptively tricky. Depending on the look you're going for and the situation you're wearing it in, different accessories can be better than others. In true 50's style, Dean would often wear a classic pair of round sunglasses. The thin frame of these shades makes them perfect company for the young smart look of a sophisticated James Dean. Try pairing them with a loose fitting James Dean style striped shirt. If the sun's out then wearing a lighter fabric such as linen is a great way to stay cool whilst maintaining a smart aesthetic. Combine this with a pair of light blue jeans. 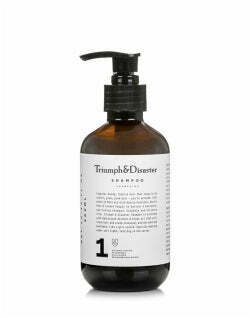 The brighter colour will work nicely with the summery atmosphere of your look. A James Dean staple was a pair of classic black boots. Boots which are plain and simple would be the best choice of shoe for someone wishing to achieve his signature look. James Dean famously wore a pair of boots in the film Rebel Without A Cause, so take your Rebel Without A Cause shoes and team with a pair of plain white socks. These James Dean shoes will be perfect for emulating this icon's style. For those of you that don't know, James Dean wore a pair of round, tortoise-shell glasses as his off-duty attire and when he was reading. These are paramount when trying to emulate this icon's style, and play a key part in how he put his looks together. Mixing a quite traditional, formal frame of glasses with an easy, casual look was what James Dean was all about. Hair is everything. James Dean's hairstyle is just as iconic as his fashion. Giving an almost devil-may-care vibe, James Dean proudly showed off his almost quiff-like hair to the world. To achieve this look is fairly easy, as long as you've got the correct length hair, simply take a small amount of pomade and work it into your hand to get the pomade warm. Work this into your hair making sure all of it as some product in it. 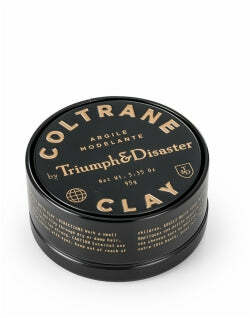 Take a hair dry and a comb and, on a low heat, blow dry your hair with the pomade in it using the comb to get your desired look and shape. Once you've achieved your desired shape, use a little hairspray to keep it in place, giving you the James Dean look in no time at all. James Dean is the ultimate style icon of the 50s - his simple style is what has made him still such a style icon today. His style is very clean-cut and straight, each item is a classic and shouldn't look scruffy or messy when put together. As his style is simple, obvious branded products are a no go. The majority of his clothing was plain, therefore it's better to mix and match each piece. Imitating some of James Deans signature looks is easy, using classic items and accessorising properly will give you all those style points. It isn't hard to see how James Dean became one of the biggest style icons of the 20th Century. The combination of his rebellious characters and his everyday style was a perfect storm for inspiration. The best thing about Dean's outfits is that they're not hard to imitate. In fact, the whole point of his look was to tone it down and appear unassuming and cool. However, this doesn't mean you don't have to put any effort in. Don't be afraid to try and modernise the look and put your own personal spin on things. As stylish as James was, he is still wearing 1950s fashion pieces. 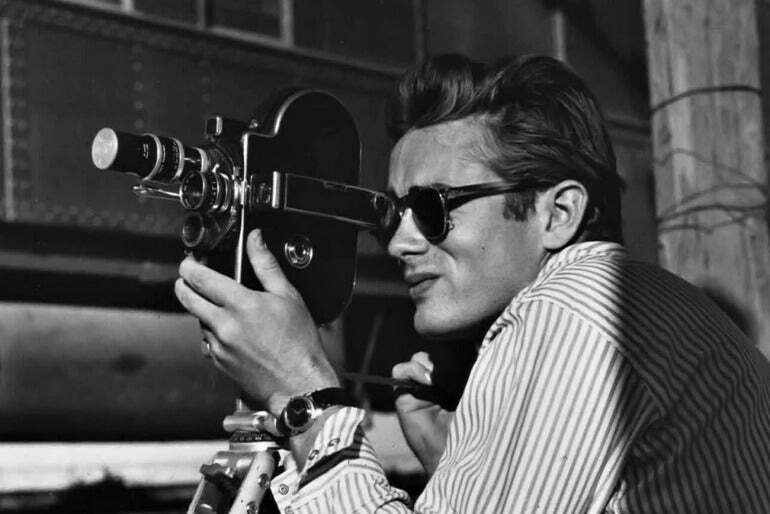 And if all else fails, go for James Dean's signature look with a pair of jeans and a T-shirt - you can't go wrong.